As a young boy I unknowingly began a career with my simple childlike fascination with rocks and minerals. I began gathering and collecting gemstones at the age of nine. This intense fascination with gemstones catapulted me towards my dream career. As an 18 year old entrepreneur in 1987 I opened the doors of a jewelry store, in the High Point Centre on the west side of Madison, TQ Diamonds, the TQ standing for Timothy Quigley. In 2000 we moved to a larger location which is our current location on Mineral Point Road. 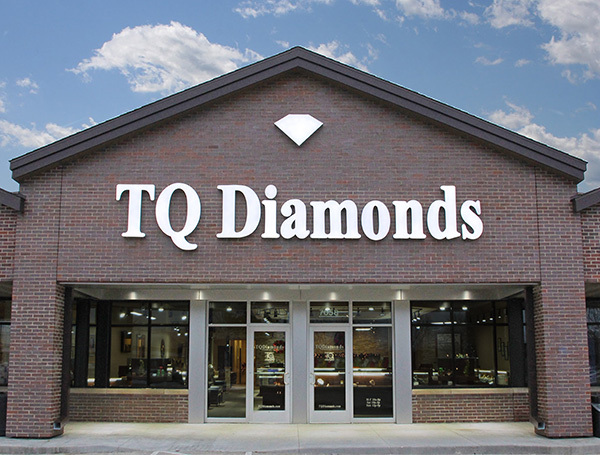 In 2014, TQ Diamonds expanded this location to 4200 + square feet. With this expansion we were able to double our size, service and selection to become Madison, Wisconsin’s premier jewelry shopping destination. As a family owned (with my wife, Kim and our two children Tanner and Taryn), independent, full service, jewelry store I feel I can offer my clients an amazing experience at a fair price unlike any other jewelry store or chain. We pride ourselves on our ability to provide an experience that includes fine quality loose diamonds, designer diamond engagement and wedding rings including: Tacori, A Jaffe, Verragio, Henri Daussi, Steven Kretchmer Designs, Christian Bauer, Gabriel & Co., Lashbrook Designs, Parade Designs and The Taryn Collection. In addition to having top bridal lines, I have developed a keen eye and deep appreciation for custom designed jewelry and colored gemstones. I know my clients are looking for unique pieces of jewelry that express their thoughts and ideas. Our fashion forward jewelry lines include: Tacori, Endless Jewelry, Steven Kretchmer Designs, Emily C, Gabriel & Co., Jewelry by Melissa, Philip Zahm Gems, and custom jewelry from TQ Diamonds. Rounding out our top notch services we offer onsite custom design, jewelry repairs done in-house and an AGS Diamonds grading lab with three titled American Gem Society appraisers. We are always looking to enhance the jewelry buying experience with our high levels of customer service. Our long-standing staff / family have been creating personal memories and relationships with our loyal clients and we have consistently voted the BEST of Madison Jeweler in Madison Magazine’s Best of Poll, and just announced, we have again received Gold Honors for 2016! Thank you!